Dr. Matthews obtained his Bachelor's degree in Mechanical Engineering from the University of Texas followed by three graduate degrees from the University of California at Berkeley, culminating in 1977 with a PhD with a specialization in combustion. 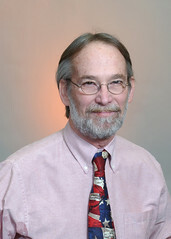 He joined the faculty of the Walker Department of Mechanical Engineering at the University of Texas in 1980, where he established their combustion and engines research program. He is the Head of the General Motors Foundation Engines and Automotive Research Laboratories on the UT campus. He is also the Faculty Adviser for UT's student branch of the Society of Automotive Engineers (SAE), and has been since he founded UT’s student branch in 1980. He served on the Board of Directors of SAE-International from January 2009 through January 2012. He has been involved in research in the area of combustion, engines, emissions, and alternative fuels for over 30 years. His research includes both experimental projects and numerical modeling of combustion within engines, emissions control, and vehicle fuel efficiency. His present research is focused primarily on the spark ignition process and prediction of the fuel economy of both light-duty and heavy-duty on-road vehicles. In 1992, he received the Arch T. Colwell Merit Award from SAE for his work on the first use of fractal geometry to model the combustion process within a spark ignition engine. This award is given to recognize outstanding contributions to knowledge. In 1996 and again in 1998, UT's body of work on fractal engine modeling was nominated for the ComputerWorld Award and selected for inclusion in the Smithsonian's National Museum of American History Permanent Research Collection on Information, Technology, and Society. He received four awards from SAE in 2002. The national President of SAE, Dr. Syed Shahed (Vice President of Honeywell Turbocharger Systems), nominated him to be an SAE Fellow, and he was subsequently elected. Of the more than 100,000 SAE members, only 10-20 are selected as Fellows each year. Prof. Matthews also received the SAE’s Excellence in Engineering Education (Triple E) Award in 2002. There is only one recipient of this award annually, which is often given to engineers in industry who have exhibited leadership is SAE’s educational mission. Additionally, along with two of his former PhD students (Dr. Yiqun Huang and Dr. Terry Alger, both now with Southwest Research Institute) and Prof. Janet Ellzey, Prof. Matthews received the Myers Award from SAE in 2002. This award recognizes the most outstanding student-authored SAE technical paper. Finally, Dr. Matthews was a recipient of the SAE Faculty Advisor Award for 2001-2002. Each year, six SAE Faculty Advisors (of more than 350 student branches in North America) are selected for this award. He has been a consultant to the National Academy of Sciences, Lockheed Missiles and Space Company, the National Institute of Standards and Technology, General Motors Corporation, Argonne National Laboratory, and many other government agencies and private companies, primarily in the engines area.